No topic has captured the public imagination of late quite so dramatically as the spectre of global jihadism. While much has been said about the way jihadists behave, their ideology remains poorly understood. As the Levant has imploded and millenarian radicals claim to have revived a Caliphate based on the teachings of the Prophet Mohammed, the need for a nuanced and accurate understanding of jihadist beliefs has never been greater. 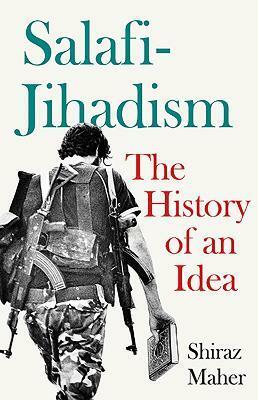 Shiraz Maher charts the intellectual underpinnings of salafi-jihadism from its origins in the mountains of the Hindu Kush to the jihadist insurgencies of the 1990s and the 9/11 wars. What emerges is the story of a pragmatic but resilient warrior doctrine that often struggles â€” as so many utopian ideologies do â€” to consolidate the idealism of theory with the reality of practice. His ground-breaking introduction to salafi-jihadism recalibrates our understanding of the ideas underpinning one of the most destructive political philosophies of our time by assessing classical works from Islamic antiquity alongside those of contemporary ideologues. Packed with refreshing and provocative insights, Maher explains how war and insecurity engendered one of the most significant socio-religious movements of the modern era.